Time Spent Punching Nazis in the Tentacles: About 5 hours. That is not dead, which can eternal lie. Yet with enough fire power, even death may die. Inspired by Lovecraft and the best damn U2 album of the early 90’s, Achtung! Cthulhu Tactics seeks to answer an age-old question: Are Nazis or interdimensional monsters eviler? Spoiler alert: It’s a tie. What I loved most about this title is the setting. The art style, music, and writing all bring to life an alternate World War II where the Third Reich tries to summon the Elder Gods. Commander, your job is to lead a team of pulp action heroes to stop them. There’s the stiff-upper-lipped British officer and wise-cracking American sergeant, along with the femme fatale from the French resistance. Miss Ariane Dubois has a pet demon, so that’s a bit of a twist. Perhaps the most interesting character is Corporal Singh, who carries an ancient curse that may eventually destroy the world. Fortunately, the curse also turns him into a melee monster. At a high level, Cthulhu Tactics feels more like a roleplaying than strategy game. You don’t build a base or level up tech trees. Unlike XCOM, there’s not even a bar where your soldiers can grab a drink and admire awesome propaganda posters. This is a real missed opportunity, since the best World War 2 movies always include a bar scene. Just ask Quentin Tarantino. Instead, your only choice on the strategic map is to pick either a story mission or do side missions for experience and sweet loot. The story missions are pretty good, and I enjoyed battling under ancient rune stones or sneaking into underground lairs. Too bad the side missions are a total slog, forcing you to kill squad after squad of goons. But if you get an experimental Tesla rifle, it’s totally worth it. Honest. 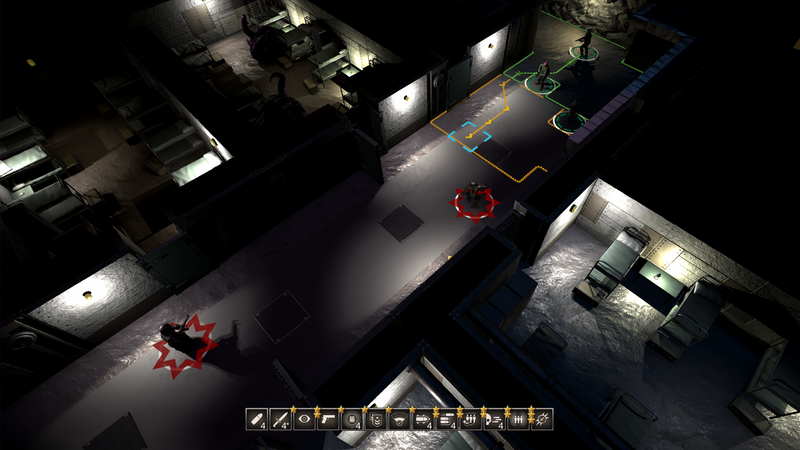 The combat is turn-based and very similar to the XCOM series or Phantom Doctrine. 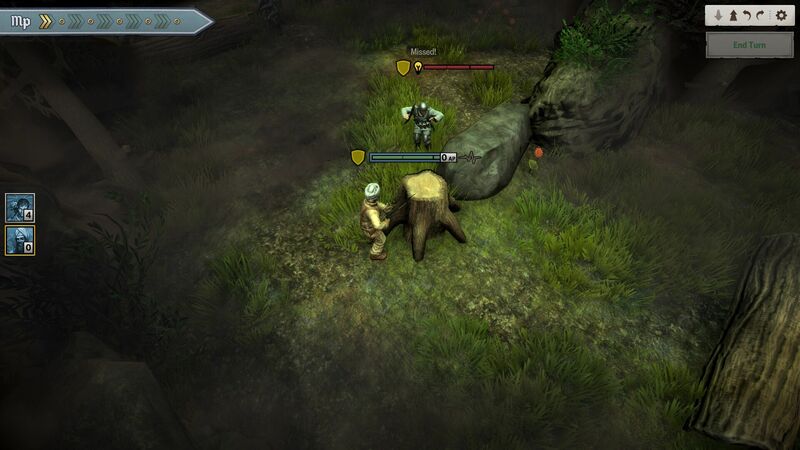 Each character has a set number of action points which they can use to move, cast spells, or attack. Machine guns pack a punch but require several action points to set up before firing. You therefore have all the trade-offs of a classic tactics game – do you rush a soldier into cover or hope to get a lucky shot? 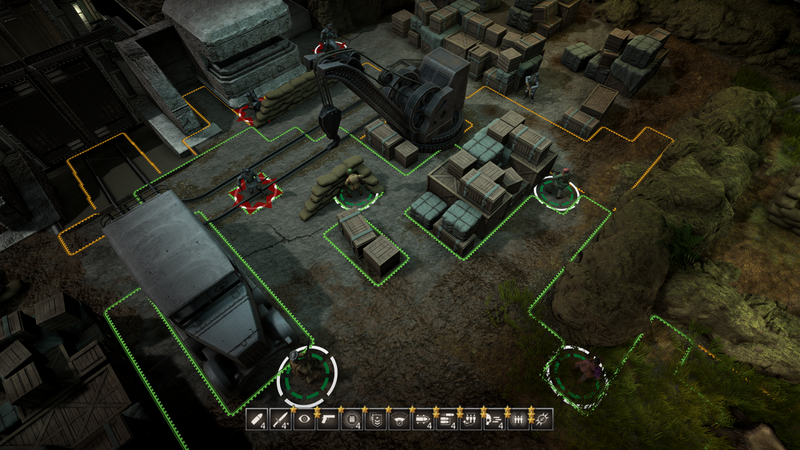 But Cthulhu Tactics makes things interesting with its momentum system. Every time you smoke another Sieg Heil Squidward, you can make extra attacks. There’s nothing more satisfying than getting a do-over when you somehow fire at point blank range and miss. And you will be making a lot of extra attacks, as the game throws enemy after enemy at you. The AI is rather predictable, but combat can get pretty tense with so many bad guys. Until you learn that it’s really hard to lose in this game, that is. Unless you lose your entire squad, none of your characters will permanently die. At worst they will be captured, and you will have to play the next mission with a rando commando. A quick word about graphics and audio: What Cthulhu Tactics lacks in 4K detail it makes up with a great art style. The story cut-scenes are top notch, and I love the creepy environments and bizarre enemies. There are techno Nazis with giant electric fists, sorcerer Nazis, and of course tentacle-faced Nazis. And don’t forget the shoggoths – giant gelatin cubes of cosmic terror. Real-life weapons such as the M1 Garand and Bren LMG are lovingly recreated, and the experimental weapons all look fantastic. The audio was a real let-down. The music is great, but the voice acting is uninspired and at times offensive. Sergeant Carter has a few cheesy but funny lines whenever he scratches a bad guy. All the other characters mutter clichés about saving the world when they get a kill shot. The worst though is the Native American scout who accompanies you on some missions. He spouts lines like “Target spotted!” and “Target down!” in a deadpan Tonto voice. Since the game is obviously about fighting fascism across all dimensions, this is a bit jarring. The bad guy sound effects aren’t much better. The shoggoth gurgling is more gross than intimidating, and the Germans have terrible accents that would make Colonel Klink sound authentic. And then there’s the annoying snickering when you miss an attack. Their mocking haunts my dreams. After about the third mission, the game started to grow on me. I truly enjoyed the story enough to grind out the mind-numbing side quests. As a big fan of pulp stories and Lovecraft, the game certainly scratched my itch. But Achtung! Cthulhu Tactics had the piss-poor luck of releasing alongside new DLC for XCOM 2. I made the mistake of trying out the free Tactical Legacy pack and realized that the XCOM series is still the gold standard. And there’s a bar on the Avenger. If you like turn-based tactical games or Lovecraftian horror, I would recommend adding this game to your wish list. But at this point, it’s a Steam sale candidate. Is It the Dark Souls of Horror/Strategy games? Hell no, soldier. Back in my day, if you got shot on a mission, you just bled out. Maybe your buddy would save you, but just as likely he would call for an emergency evac. And before you knew it, your ugly mugshot would be gracing the memorial wall. But in this game, your French buddy can easily revive you with her weirdo magic. And even if she doesn’t, the worst thing that happens is you get whisked away to an all-expense paid vacation. Hell, you don’t even need to play out the rescue attempt – the game does it for you! Kids these days. So no, Achtung! Cthulhu Tactics is not in the same theater of operations as Dark Souls. It’s more of a beer and pretzels game, which is great if you want a break from XCOM’s Long War mod. Or if you desperately feel the need to punch a super ugly Nazi. I’ve never been able to wrap my head around XCOM style strategy games— I even struggled with Mario and Rabbids— but this one sounds interesting. I might pick it up later this week, when the Fall sale hits. I haven't read this article but I was just reading about this game and the audio drama and all the good stuff! Now, back to work, but will read later! Probably! Thanks for letting me be a guest writer Thomas! I will say ACT is much more forgiving than XCOM. It’s worth a try if you want to learn the play style but not be overwhelmed.